With some effort, Formula 1 celebrates its 1000th Grand Prix in Shanghai. There is little passion for racing in the Chinese metropolis, but Lewis Hamilton and Co. are still looking back. Between Silverstone and Shanghai are over 9000 kilometers of air – and a lot of Formula 1 tradition. 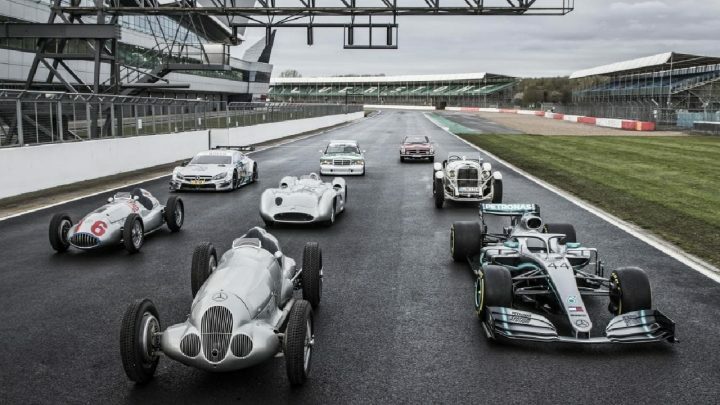 Not a few would have wished that the motorsport premier class would stage their 1000th race where almost 70 years ago, on May 13, 1950, everything began. “It is such an important part of the Formula 1 heritage,” said Bernie Ecclestone. “It would have been nice to see that.” The wish remained unfulfilled, to drive in Silverstone. The organizers reportedly played no part in giving up the traditional appointment. “The weather is not good there either,” British World Champion Lewis Hamilton understandingly pointed out. So Formula One is celebrating its anniversary in Shanghai, a megacity with over 20 million inhabitants. “It’s one of the most exciting places in the future in Formula 1,” says Chase Carey, who replaced Ecclestone in January 2017. China has been driving since 2004. However, the enthusiasm for Formula 1 is further expandable in the lucrative market for car manufacturers. At the track, many seats remain empty during training. Some grandstand areas are used as advertising space. Racing passion like in England, at the best times of Michael Schumacher in Germany or at Ferrari home races in Monza is hardly noticeable. In the paddock, a long red carpet will take the visitors who have access to the exclusive areas on a journey through time. Display with pictures of icons like Schumacher, Alain Prost, Niki Lauda or Ayrton Senna. In addition a few car miniature buildings. A small collection of helmets, a few steering wheels in a showcase and three older Formula 1 cars. A world champion car is missing. One who could take the current drivers in mind in earlier times. Hamilton would like to drive once in the 1980s. Kimi Raikkonen, the oldest driver in the field at the age of 39, moves into the late 1960s and 1970s: “More fun, all relaxed, pure racing.” That it was also more dangerous at that time, just belonged to this time, meant the Finnish man.